Vulture at the Wheel The Renault Captur (Dynamique MediaNav dCi 90, to give it its full name) is the kind of car people who buy them describe as “easy to drive”. These are the same people who when you ask what car is that, they say “a red one”. I once reviewed the IBM PS/1 and was more than a little disappointed. The only thing IBM and I agreed about with the review was my line “Nobody who knows about computers will buy the PS/1”. I argued that it was overpriced, under-specced, and just not very good at what it was supposed to do. IBM argued that it wasn’t aimed at performance users and was plenty good enough at what it did for the people who bought it. Something similar is going on when I say “Nobody who knows about cars will buy a Renault Captur”. Easy to drive means insipid. It never going to surprise you in a good way or bad. There is no thrill behind the wheel, but it will be sold on looks. Like the Fiat 500x it’s a fashionable cross-over. The Renault makes a pretence of off-roadiness in its looks but unlike the Fiat there is no four-wheel drive option. It looks a lot better than it is. Indeed I think it looks excellent, the use of the large Renault badge to give it a nose to the mouth of the grill and the eyes of the lights make it look friendly in a chunky kind of way. The flame effect sides and chrome stops lift it out of the mundane. This is a distinctive car: in a good way. Maybe like something out of the movie Cars. It does have a touch of the high riding imperiousness of a four-by-four and that no doubt gives a sense of security when dropping the precious cargo off at the school gate. The view out is, however, marred by rather large A-pillars. 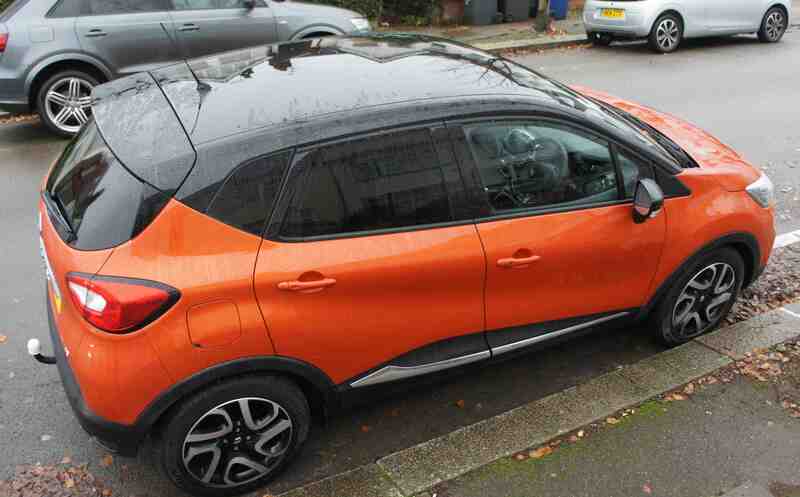 And while it’s Volvo that everyone thinks of as being the best in a crash it’s something that Renault is a leader in, often topping the NCAP charts, the Captur is no exception with a five-star rating. There are six airbags and three Isofix points - two in the back and one in the front. You can build on the middle class paranoia by checking the air quality as one of the computer functions. 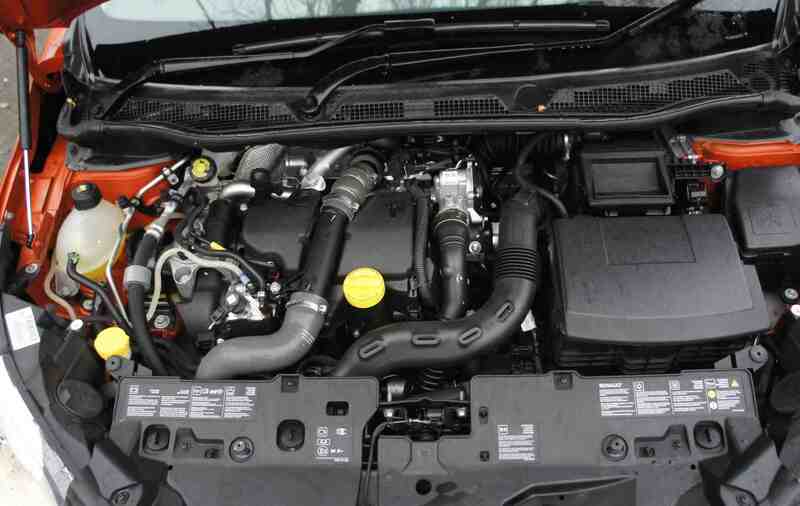 What it also has is a disappointing 90HP, 220Nm diesel. 0-62 in (yawn) 13.1 seconds and an official top speed of 107mph, although it would probably take a long time to get there. The car is significantly too big for the engine and so feels as though it is straining the whole time. The trip computer has a wide selection of eco readouts which go a long way to encouraging you to drive like a Christian and so stick within the limits of the motor. Do that and you might even get close to the extraordinary official mpg figures of 70.6mpg urban, 78.5mpg combined, and 83.1mpg extra urban. High riding SUVs are not supposed to be quite so green. Does someone need to take the handbrake off this thing?